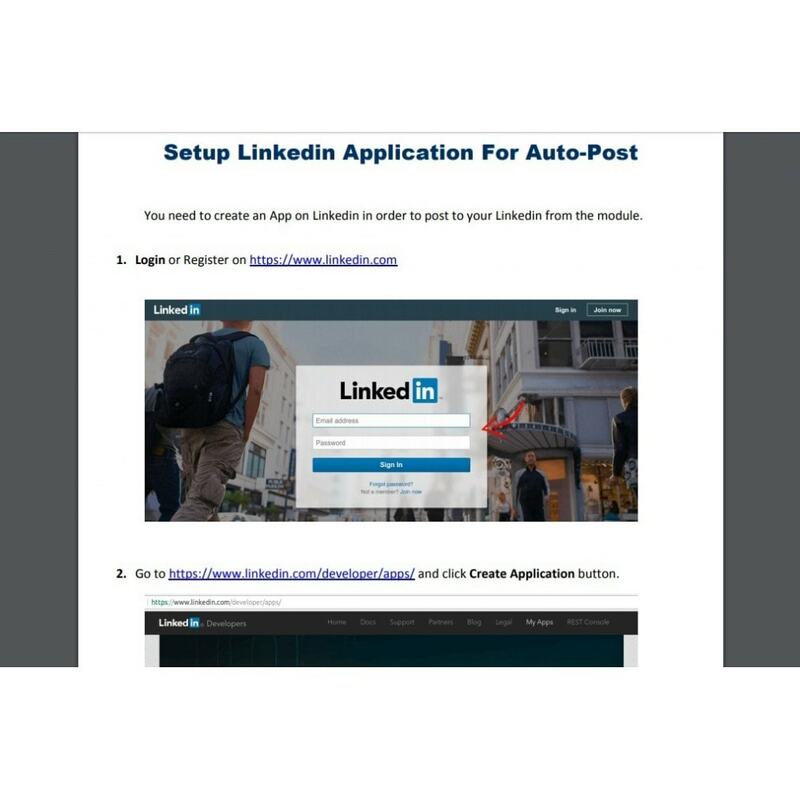 Let your products get automatically posted to your Linkedin. Great tool for SEO (Search Engine Optimization) and SMO (Social Media Optimization). Increase traffic to your online store. Attract new customers to your store from large societies in social networks. Create any number of auto-post rules with choice of different settings. Post random products or best-selling products or in any other order from selected categories daily, weekly or any other period of your choice. Let your products get posted when they are added/updated. 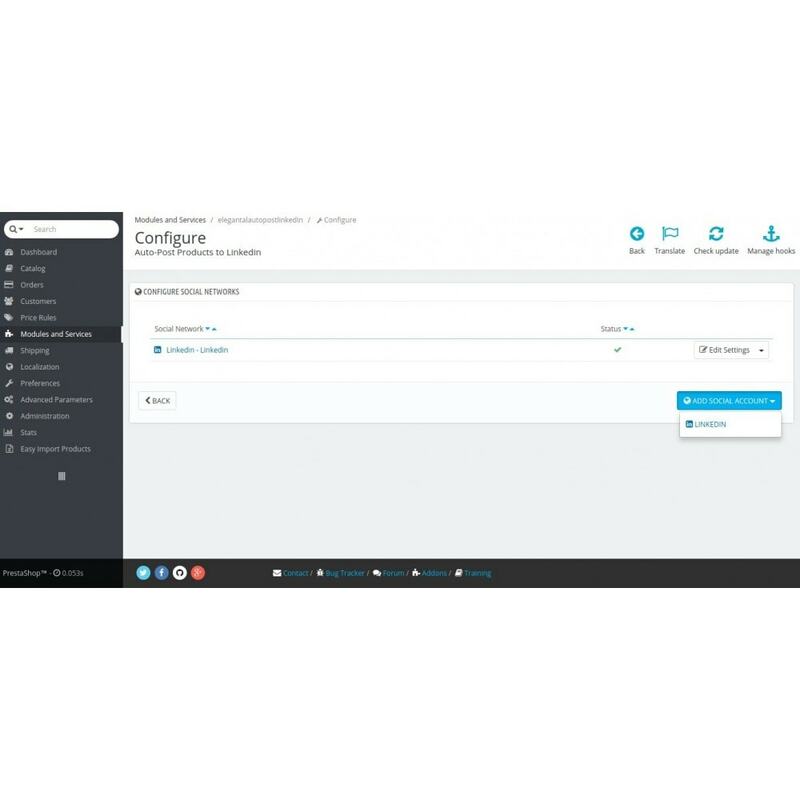 You can also post a product and/or custom link with image and text manually. You can create CRON Job for each auto-post rule separately, which gives you great flexibility to achieve your marketing goals. There are many options to customize and you can make use of this module in many different ways. 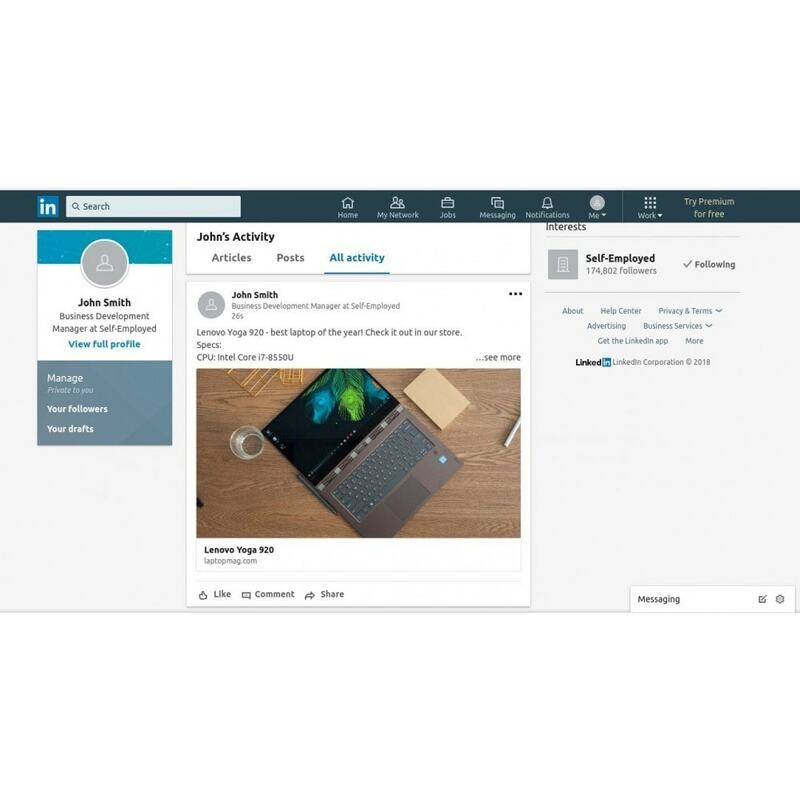 Helps you to keep up-to-date on Linkedin easily. Helps with SEO and SMO. Customers like to see different products on social networks and share their views with the community. Add your Linkedin accounts. You need to provide required credentials and allow the module to make posts on behalf of you. Go to Social Networks page and click Add Social Account button. Follow instructions and add your social account. Create auto-post rule. 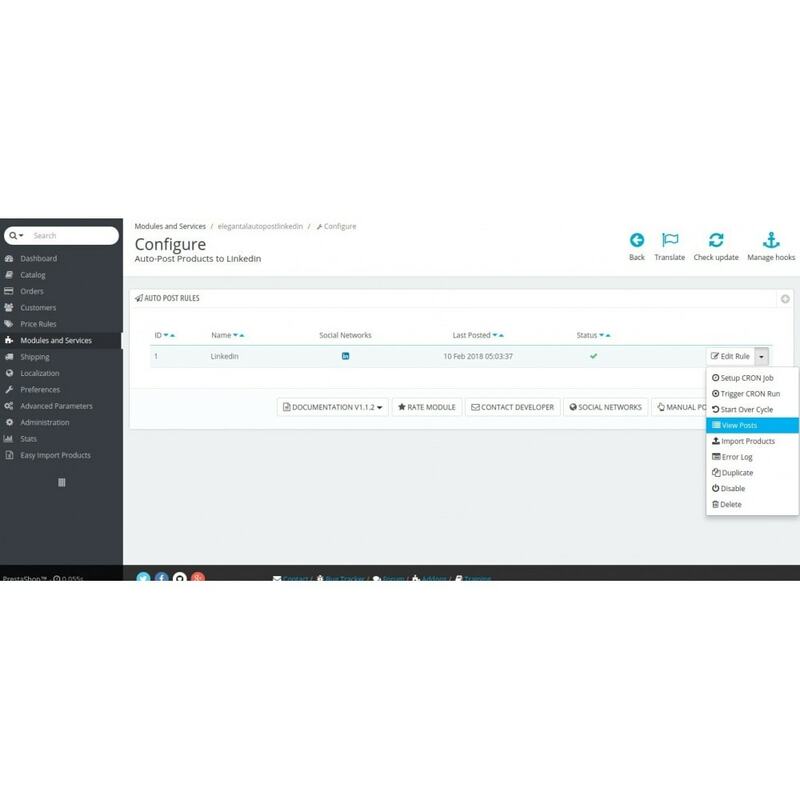 Auto-post rule takes care of posting products as according to your preferences. On the main page of the module, click New Rule button and configure it as you wish. 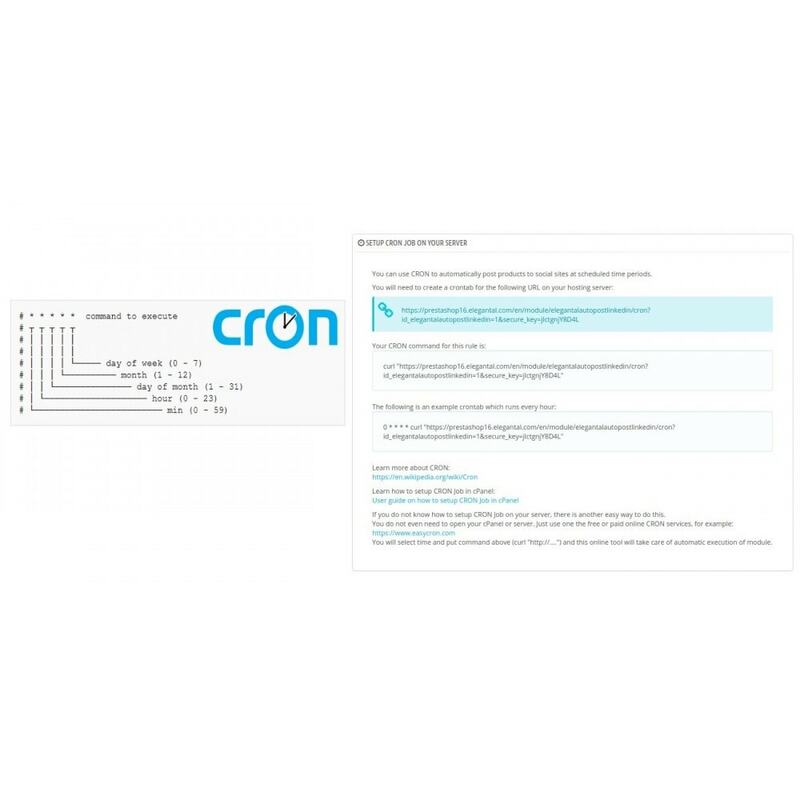 If you want to automate the process, you need to create CRON Job on your server. You need to click Setup CRON Job button from dropdown menu next to Edit Rule button and follow instructions. You can create template for the post content using short-codes of product attributes. You can test the module with "Manual Post" option. It allows you to find and post a product, or you can post a custom link with image and text.